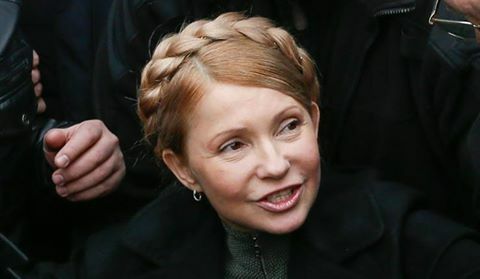 Why is the west supporting Yulia Tymoshenko? She was once Prime Minister, but she was caught with her hands in the cookie jar. She negotiated Ukraine’s entry into the World Trade Organization, and secured loans from the International Monetary Fund. She was convicted and jailed in 2011 for abuse of power in connection with a gas deal with Russia. EU officials pressed for her release, making it a condition of signing a partnership deal late last year. Instead, new allegations arose and a criminal investigation was opened over her involvement in the gas trade, plus allegations she ordered the murder of a business rival and the embezzlement of hundreds of millions in government funds. No wonder the Globalist love her so much, including Obama. Older PostEmails Reveal Obama Admin Shut Down WW II Memorial Knowing Vets Were Coming!